“When I was at the studio getting certified to teach Pilates I was on the apparatus all the time. There were also so many people going in out and using the same equipment that I did. Jackie Hinton is the creator of Good Citizen Luxe Pilates Loops that have started popping up in different studios across the US lately. She took her initial love and passion for Pilates to the next level by creating her own product that she believes can change the way we practice Pilates. After teaching Pilates for many years or maybe seeing a specific need many teachers come up with ideas that could definitely help Pilates students. However, launching your own product can be IS intimidating. It takes guts, a lot of planning and of course support of the family members to realize this dream. Today I am talking to Jackie Hinton about her product – Luxe Pilates Loops. Jackie will share when she came up with the idea, how long it took her to launch the product and the best lessons that she learned along the way. 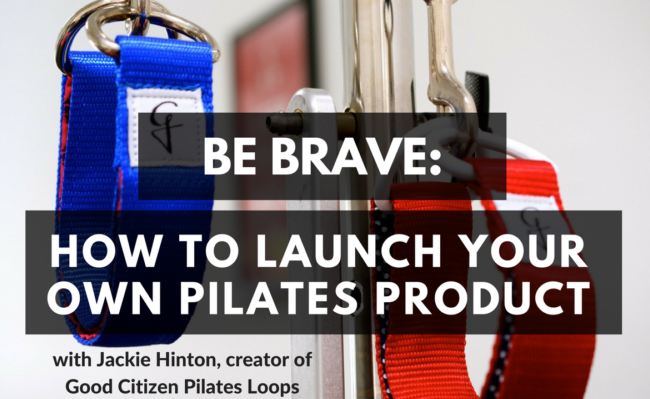 How Jackie came up with the idea of creating personal Pilates loops. What the creative process of designing the loops was like. The most fun part of bringing of launching the product. The most difficult part of launching your own product. The best advice for the teachers who would love to launch their own Pilates products. For personal Pilates practice. If you teach or practice Pilates I encourage you to take a look at the Good Citizen Pilates Loops. I had a chance to try a pair out and I immediately feel in love with them. Extra income for studio owners. As a studio owner you might be interested in offering GC Pilates loops for sale to your clients. Please click here to contact Jackie Hinton about wholesale opportunities. It’s a great way to bring extra Pilates income, keep your studio clean and serve the needs of your clients. 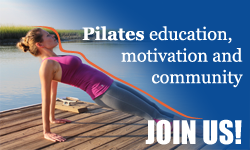 Get 3 months of PilatesBridge PRO membership for FREE! Share this article on FB, Twitter etc. In a week I will pick the winner who had the best question. Yay! We are so happy to hear you LOVE your very own Good Citizen loops! We love hearing feedback like yours. Keep up all of your hard work in Pilates class!